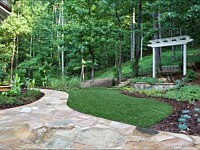 Add life to your landscape with our planting and sod service. 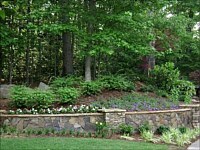 Flowers add color, trees provide shade, and shrubs give that subtle structure. They change by the season and provide amazement with every change. And that’s because they are full of life. But adding just any plants just anywhere will never do. There must be a plan, careful choosing, and delicate installation. 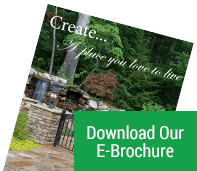 For that, Miller Landscape can help you. Georgia is endowed with countless choices on plants. 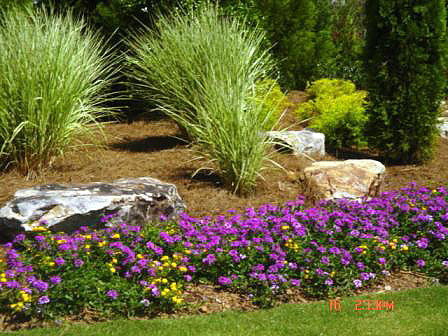 These can be grouped into different categories, but all of them can be planted in your landscape. Annuals. These plants grow for a season and die. 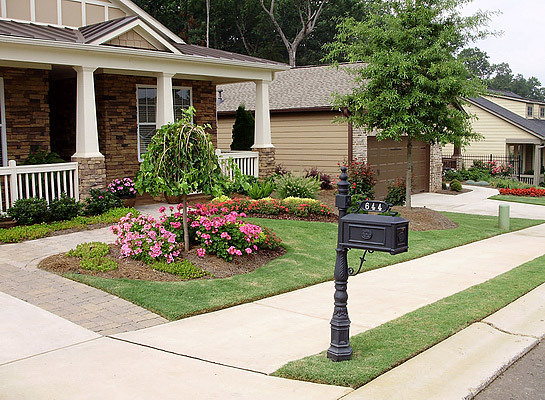 So what’s the point of having them installed in your landscape? Choices. Annuals provide more varieties in terms of sizes, shades, and shapes. Have them in different seasons and for different occasions. 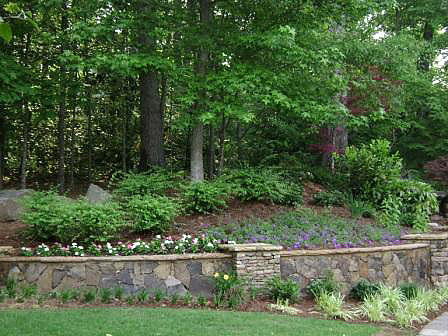 They’re like natural decoration that will liven up and give new visual interest for a yard. Perennials. Unlike annuals, perennials grow back and will bloom again. Wild Indigo, Three Lobed Coneflower, Swamp Hibiscus, and Japanese Aster are perennials that provide beautiful flowers in their respective seasons. The anticipation to see them grow back every season is something really exciting. Trees. Not all landscape has trees because, to some, the trouble of maintaining them does not justify the benefits they bring. For us, we consider trees as treasures. They provide more benefits than you can imagine - from shades to flood protection to edible fruits. Shrubs. Annabelle Hydrangea, Bottlebrush Buckeye, Chinese Snowball Viburnum, and Paperbush all offer one great benefit - invading a plant box. What’s special with these plantings is that they grow so closely that they become a huge pile of beautiful creations. They can be the spotlight or they can be the background. Whatever purpose they may have, shrubs always make a yard more beautiful. Vines and Ground Covers. Vines are good planting options because they decorate columns, gates, fences, and roofs. 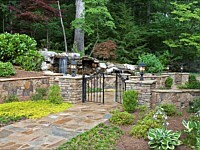 Imagine Armand Clematis, Crossvine, or Madison Confederate, and Jasmine, gracing these hardscapes and more. The ground can be so gracious with covers, like Golden Sweet Flag, Creeping Raspberry, and Angelina Stonecrop. All these plant categories can be native or foreign. What good with native is that you’re sure that they can adapt to the state’s natural environment. Foreign plants are also great as long as they are ideal for the area and other plants in it. Sods are ready-to-plant grasses that make instant green lawn possible. 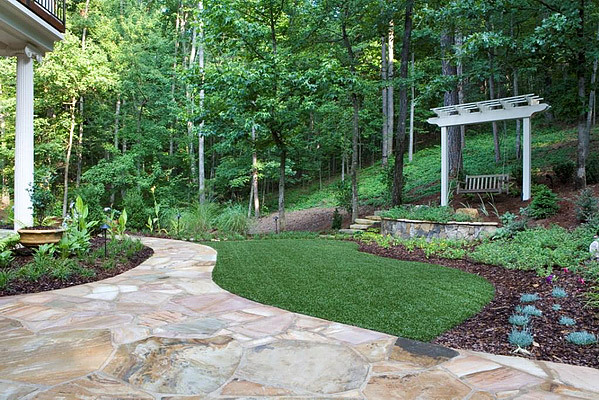 Planting or seeding, on the other hand, may be less expensive, but it takes a long wait and a lot of work before you can see the barren lawn covered with green grass. Worst, seeding doesn’t guarantee a uniform cover. That’s why we are in favor of sodding. 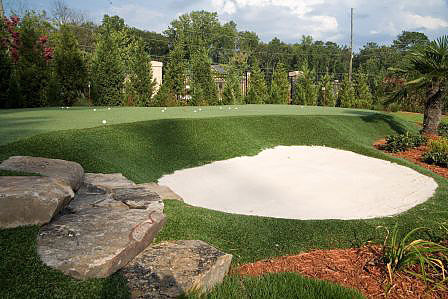 By installing sods, you get lawns without the wait and mess. You’re also sure every inch is covered. Best of all, it’s possible to make a pattern. No landscape project is complete without planting and sod. 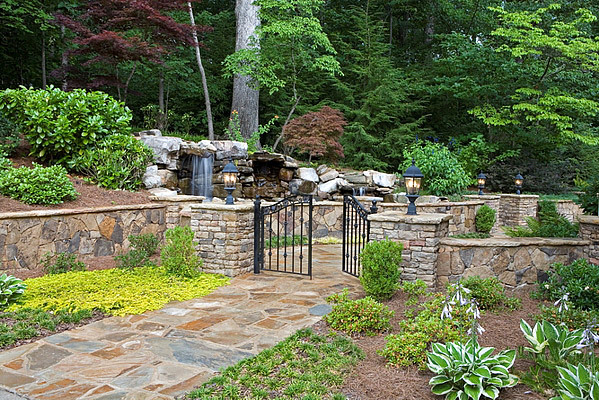 At Miller Landscape, we can help with transforming your area into a magnificent outdoor. We have certified horticulturists and arborists, should you wish to have trees strategically placed around the landscape. Our dedicated gardeners will take good care installing your chosen plants and sods. You can also preview how your landscape will look with particular plants around with our 3D design. 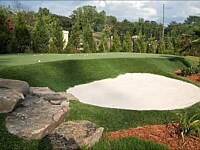 Contact us for more information and free estimates on our planting and sod services.